Toddlers often resist going to bed when their parents want them to go. Parents may have difficulty recognizing whether the resistance is related to true needs and fears or whether it is attention seeking or oppositional. The resistance often takes the form of repeated requests for a snack, a drink, or a trip to the toilet and may include fears of noises, shadows, or imaginary monsters. 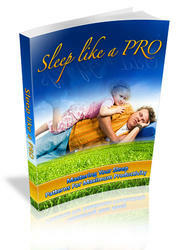 A sleep diary can be helpful to sort out the etiology for the sleep refusal and direct management efforts. The parents record bedtimes and waking times for 2 weeks and indicate specific problem behaviors and their responses to each situation. Parents are often able to recognize patterns and problems themselves as they review the diary. Many common refusal patterns can be addressed by focusing on the problem aspects of good sleep hygiene (Box 24-1). If the problem seems to be oppositional, the best approach is for parents to ignore it. If the child gets out of bed, a parent should place the child back in bed without conversation other than a firm, "It's time for bed." When the parents actively ignore their child's efforts to get attention, the behaviors often get worse before they improve. However, even persistent children eventually respond (Blum and Carey, 1996). If standard ignoring is too stressful on the family, a "gradual ignoring" technique is also effective (Reid et al., 1999) (SOR: B). This involves briefly checking on the child every few minutes until they are asleep and gradually lengthening the interval between checks. For a child who is fearful, having parents ignore them may make the fears worse. A gradual withdrawal of the parent's presence after the bedtime routine works better. The parent may sit in the room while the child falls to sleep but should avoid lengthy discussion of the child's fears. Once the child is able to get to sleep without fear, the parent begins to move their chair closer to the child's door and eventually outside the bedroom. Fearful children who do not respond to this technique should be considered for referral for more intensive treatment similar to that applied toward phobias.